The electric hot water system remains a popular product, because of its affordability and the ease of installation. The electric hot water system will perform as a reliable system for years to come, but it will cost more to run. 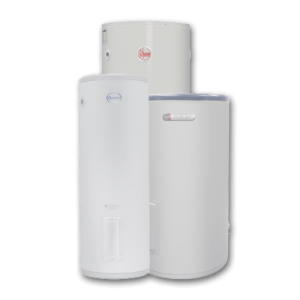 An electric hot water system requires a storage tank. Here is where the water is heated overnight, to remain hot during the day. Electric systems can run via off-peak electricity. Not all homes have off-peak electricity however. An average hot water system in a four to five-person home requires a storage tank of about 90-160 litres. This ensure uninterrupted movement of water. Or it will require a hot water tank of 250-315 litres. The systems are normally installed outdoors, though they can also be installed indoors. One can also purchase electrical water heaters on the market. These are much more suitable for smaller properties. They are not only easier to install, but also more energy efficient. The price for these systems ranges from $360 – $1500. Hot water installations can cost different amounts depending on the company. 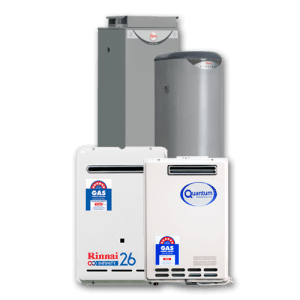 When you have the relevant gas connection, a natural gas hot water system can be suitable. Gas prices are generally cheaper than electricity. The variance rates on electricity during the day are also different to gas, so hot water can be heated as needed. When it comes to gas hot water, there are primarily two systems. There is gas storage, and continuous flow. For a five-person household, a tank of 125 – 170 Litres is needed. Gas hot water systems will be installed outdoors usually, owing to governmental protocols. Generally customers should aim for an rating of 4.7. These systems will cost between $600 to $1200, excluding installation costs. The cost of installation will depend on who is employed to complete the job. Solar hot water has become a popular product on the market because it is environmentally friendly and very efficient. What you will need in solar panels can be calculated easily. Usually, it is said, one panel per pair of persons in your home. This means a five-square-meters solar panel for your home. This accompanies a 315-360 litre storage tank. A roof-installed tank is also possible. This tank is 200 litres, smaller and more compact, which may be more suitable for certain types of homes. A large storage tank is needed for when the sun isn’t shining, or it is raining for a week or more. This tank has an element installed to keep the water hot. Solar Hot Water systems can cost from $3000 to $8000, excluding installation. They are much more expensive than other systems, however, they are more efficient in the long run. The most recent product to come on the market is the heat pump. 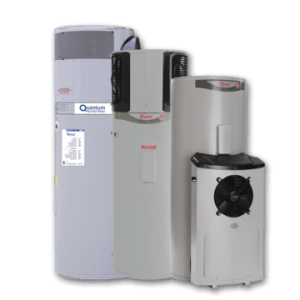 Heat pumps are installed outdoor. This is because here the air is normally warm. This air can then better heat the storage tank. Heat pumps are best suited to warm regions of the world – Sydney qualifies! There are models designed to work well in colder regions of the world as well. 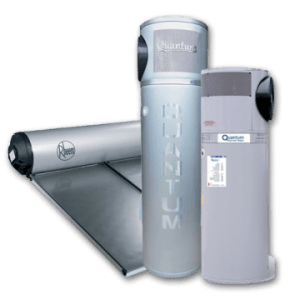 A heat pump can cost between $1500 to $3800 – excluding installation. This of course depends on the installer.